Today I have a great experimental Firefox add-on for all my readers. If any one of you is hooked to Twitter and Tweets about anything and everything, then this extension will do a great job of keeping you connected to your Twitter account. Normally we have to separate ourselves from Twitter when we are browsing the internet. I mean even if we have Twitter open in one Firefox tab, we have to leave that tab in order to browse other websites. This means not being able to view our Twitter statistics while we browse. TwitKit finishes that separation between us and Twitter. 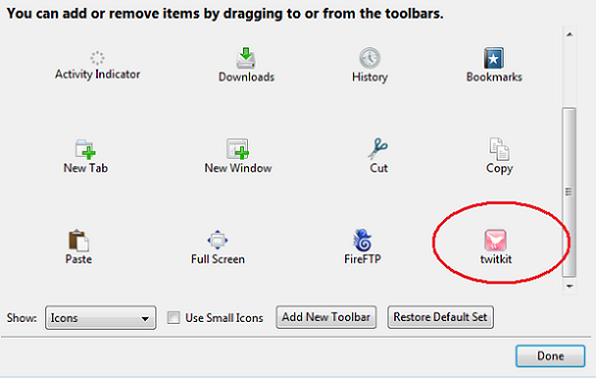 After the installation of TwitKit, you should access Firefox’s toolbar customization options. 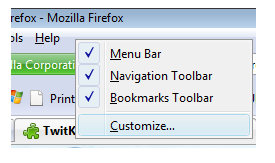 Here you can drag TwitKit’s button onto your Firefox toolbars. 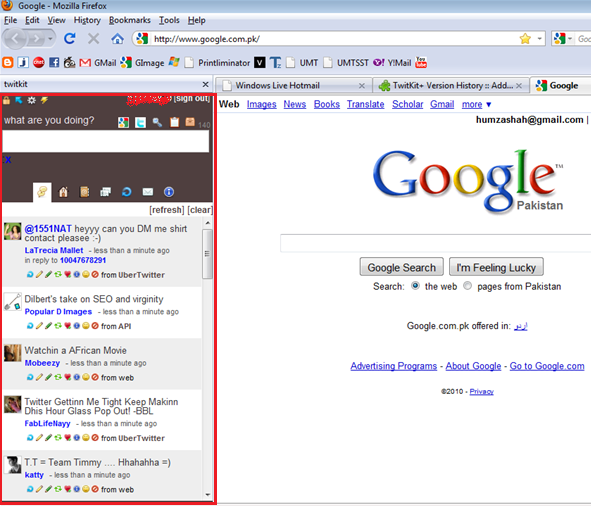 This is how it your toolbar will look like after you have added the TwitKit button to it. Simply click on TwitKit’s button to open up Twitter in the sidebar to the left of the webpage you are currently viewing. In this side pane you will view all your Twitter account details and will be able to use just like it was open in a separate webpage. The brown theme is there by default but it can changed by accessing the add-on’s options. 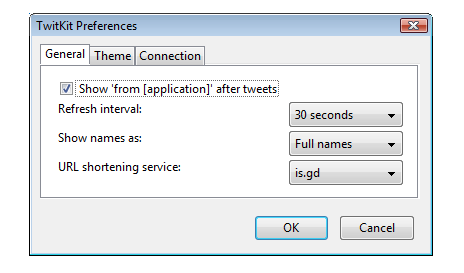 In the GENERAL tab we can select our link shortening service and refreshing interval. In the THEME tab we can change our theme (in case you do not like the default brown theme). 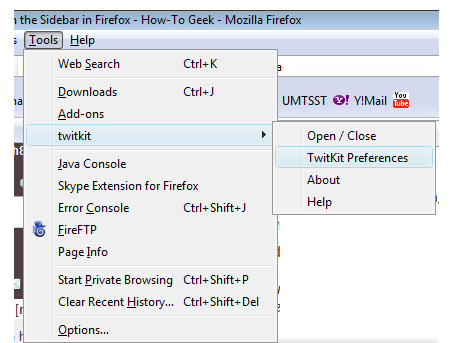 TwitKit is a great Firefox add-on which keep us always connected to all our Twitter account’s features. It is a must-have for all extensive Twitter users. Give it a try and let me in the comments know how well it suited your preferences.